Current Program Offerings - I'm The Chef Too! 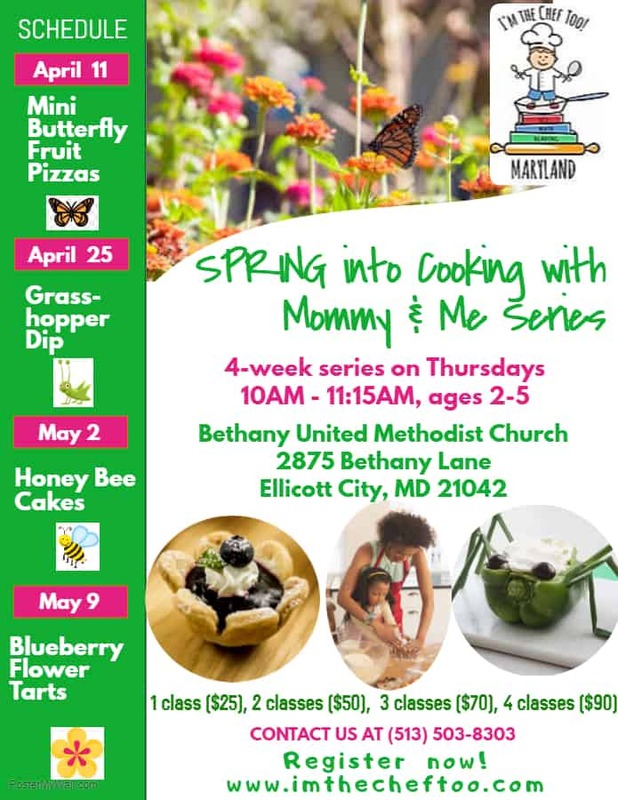 Spring into Cooking with Mommy & Me! This series is open to all moms, dads, caregivers, and chefs ages 2-5. Choose whichever class(es) best fit your schedule! To help us with planning, please sign up on the Google Doc to let us know the dates you are planning to attend. If something changes, simply erase and select a different class. 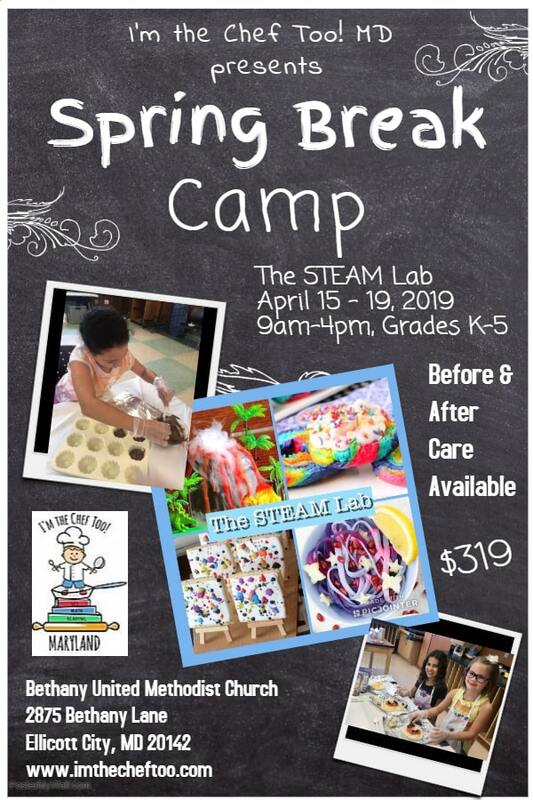 Spring Break Camp: The STEAM Lab! Join us as we transform our kitchen into a tinker lab where children are inspired to build like an engineer, question like a scientist, create like an artist, and deduce like a mathematician all through the world of cooking! Whether learning about the galaxy while making galactic donuts or exploring how a volcano works with our erupting volcano cakes, your chef will be sure to experience hands-on fun in our kitchen. Watch their excitement as they develop their culinary creations and then dig in with a spoon and enjoy. Chefs grades K-5 welcome! NEW! After School Series: Kids Baking Championship! Calling all junior bakers! Are you ready to get creative in our kitchen? 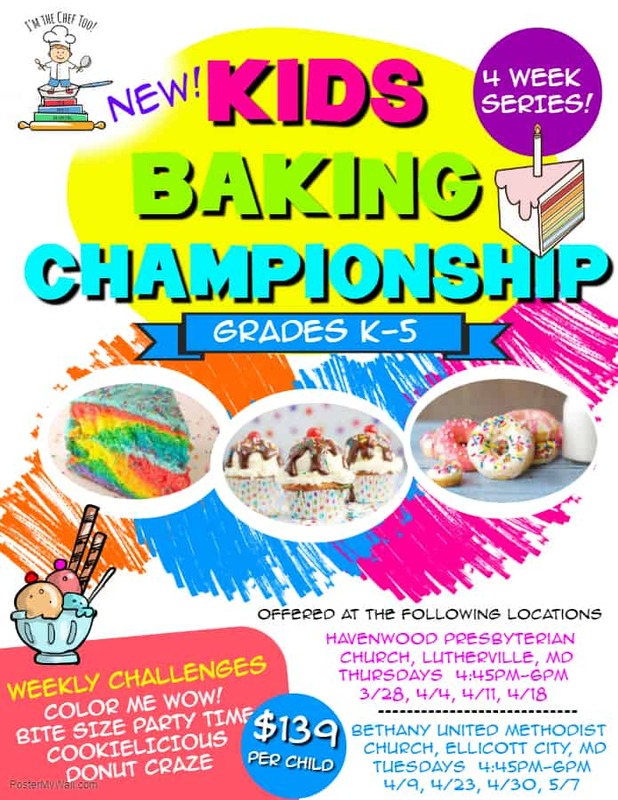 Come join us for our NEW Kids Baking Championship after-school series. Each week you’ll be given a different pastry “theme” and will work to create a unique, tasty treat for the judges. Chefs will be judged on presentation, taste, and creativity. Will you be the next Kids Baking Champion? Looking for a fun experience for your kiddos while you enjoy a night out? Drop them off with I’m the Chef Too! MD for a movie-themed cooking party! Chefs will have a chance to make their own dinner/dessert, meet new friends, and watch part of the movie while they enjoy their meal. 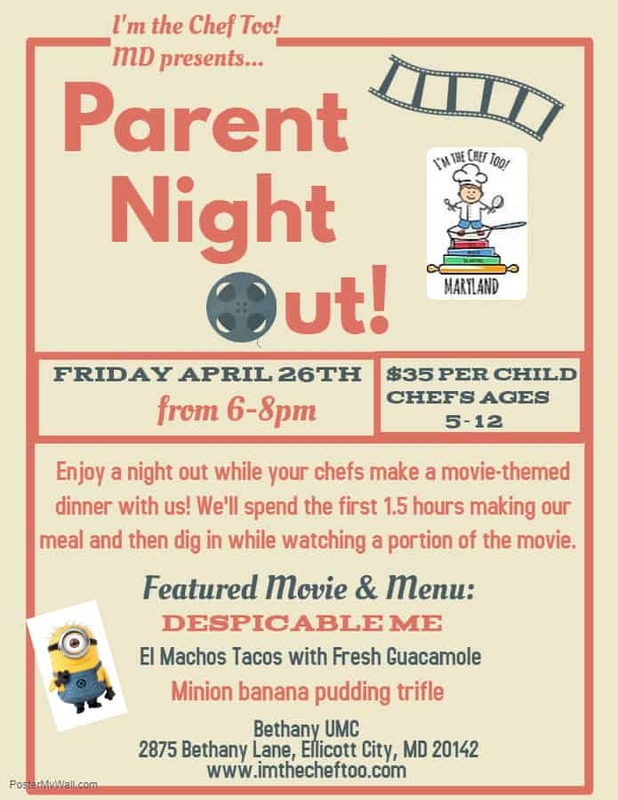 This Parent Night Out will feature cuisine themed around Despicable Me. Chefs are welcome to bring an apron, blanket, and pillow (and come in PJs if they want!). NEW! 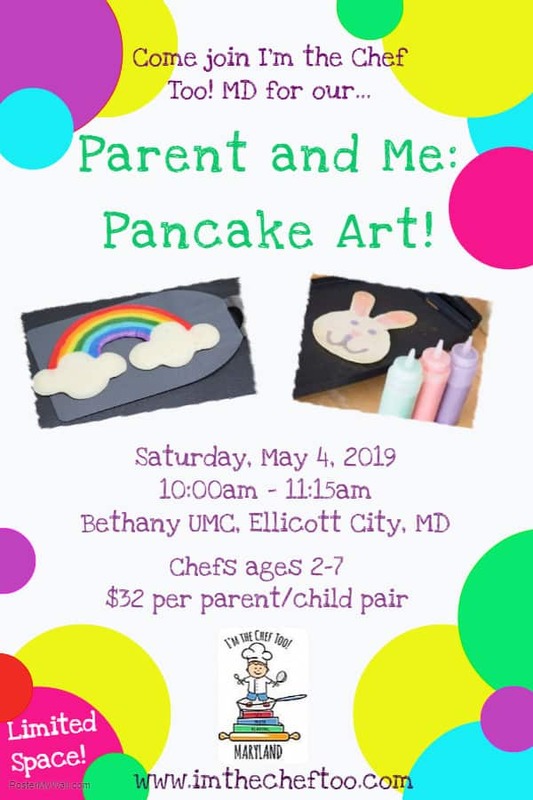 Parent and Me: Pancake Art! 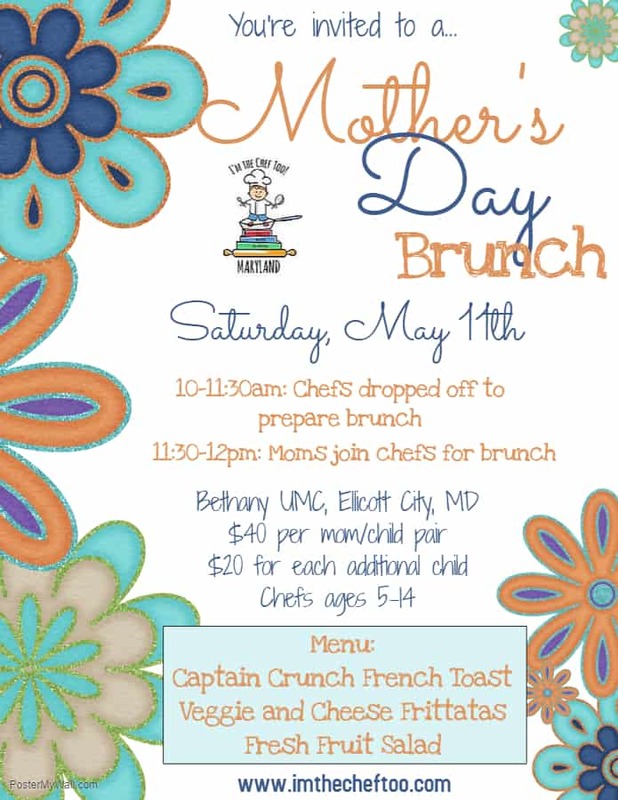 We can’t wait to celebrate with a Mother’s Day Brunch! Chefs will first be dropped off to prepare a delicious meal for their superhero. Following this, all moms are invited to join us for brunch with their child(ren).